Organisers welcome submissions for oral and poster presentations for the 2013 NZ Branch Meeting of the ANZSNM. Guidelines for oral and poster presentations are below. All submissions should include the presenter’s application form and a brief abstract of 250 words or less. This award is open to physicians, radiologists, physicists and technologists that are financial members of the ANZSNM. This award will be judged on the oral presentation, quality and impact on Nuclear Medicine, duration about 10 minutes. 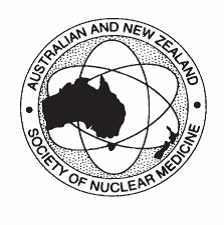 The successful New Zealand delegate return airfare is sponsored by the NZ Branch to attend the 2014 ANZSNM Scientific Meeting. The successful delegate is expected to present their paper at this meeting and submit it to the Gamma Gazette for publication of around 2000 words. This is open to technologists who are financial members of the ANZSNM . Oral presentation – seven minutes case study, plus three minutes question time. The winner will be sponsored by Radpharm to receive full early bird registration at the 2014 ANZSNM Scientific Meeting to present their winning case study. Must be on a topic related to the field of Molecular Imaging. Attractive cash prize up for grabs. Recommended poster size – A1 (59.4 X 84.1cm). A Presentation Application Form needs to be completed to enter the awards.